Posted by utechalumni in Alumni News, Canada Alumni. 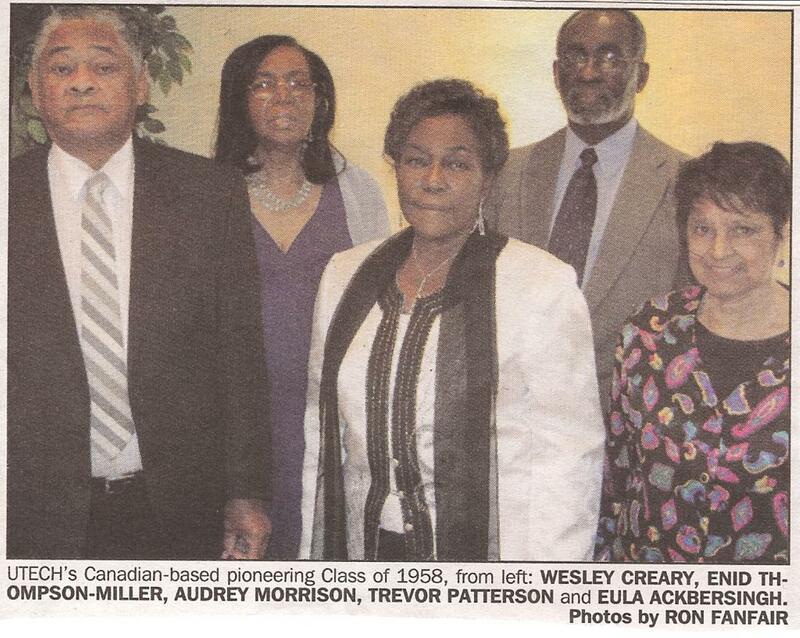 UTech Canadian-based Pioneering Class of 1958-1960. L-R Wesley Creary, Enid Thompson-Miller, Audrey Morrison, Trevor Patterson and Eula Ackbersingh. Photo by Ron Fanfair. Posted by utechalumni in Canada Alumni, Job Search Tips, Personal Development, Professional Development. Posted by utechalumni in Alumni in Business, Canada Alumni, VIDEOS. ARE YOU or DO YOU KNOW ANY CAST-UTech GRADUATES BASED IN CANADA?